Architectural drawing, Competition entry 158, City Hall and Square Competition, Toronto, 1958, by William Hayward and Associates of the United States. 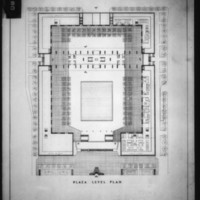 Floor plan of plaza level showing library and Metro registry. This entry was a finalist. 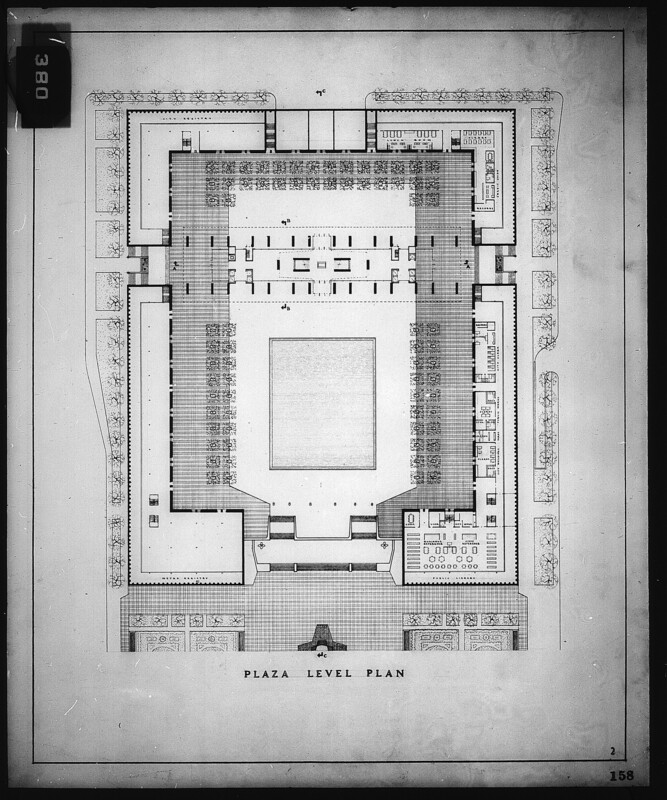 William Hayward and Associates., “William Hayward and Associates entry City Hall and Square Competition, Toronto, 1958, floor plan of plaza level,” TPL Virtual Exhibits, accessed April 19, 2019, http://omeka.tplcs.ca/virtual-exhibits/items/show/1128.